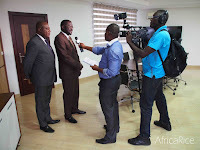 During his first visit to AfricaRice headquarters in Abidjan, Côte d’Ivoire, 11-13 November 2016, in his capacity as the new Chair of AfricaRice Council of Ministers, Senegal Minister of Agriculture and Rural Equipment H.E.Dr Papa Abdoulaye Seck, stated that AfricaRice has a historic responsibility to help its member countries achieve rice self-sufficiency. In August 2016, Senegal took over the chairmanship of the AfricaRice Council of Ministers, which is the supreme governing body of AfricaRice. 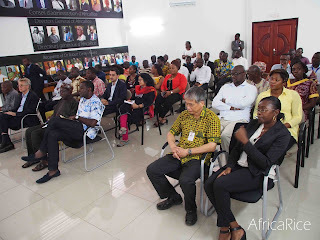 The Center is an intergovernmental association of 26 African member countries. It is also a CGIAR Research Center – part of a global research partnership for a food-secure future. 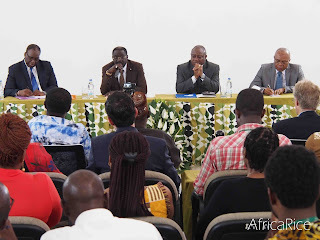 “Agriculture is truly an instrument for transformation and AfricaRice is strengthening the food security of millions of Africans through its research,” Dr Seck added. He highlighted that Africa’s rice (paddy) production is expected to reach a record of more than 29 million tons in 2016, a 4 percent increase over last year’s production. He explained that AfricaRice scientists in close association with their national partners are directly or indirectly contributing to the structural transformation of agriculture in Senegal and the rest of Africa. 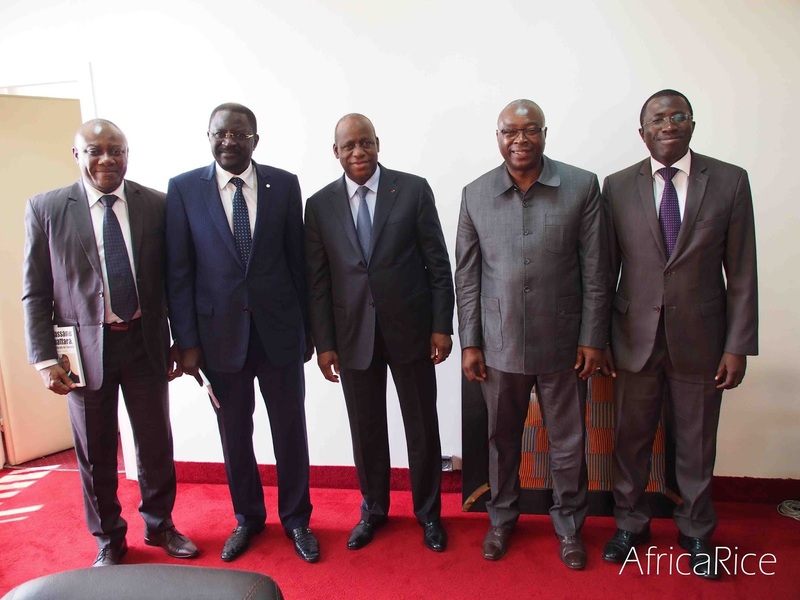 During the visit, Dr Seck and AfricaRice Director General Dr Roy-Macauley met with the Ivorian Minister of Agriculture H.E. Mr Mamadou Sangafowa Coulibaly to thank him and the government for all the support to the Center. 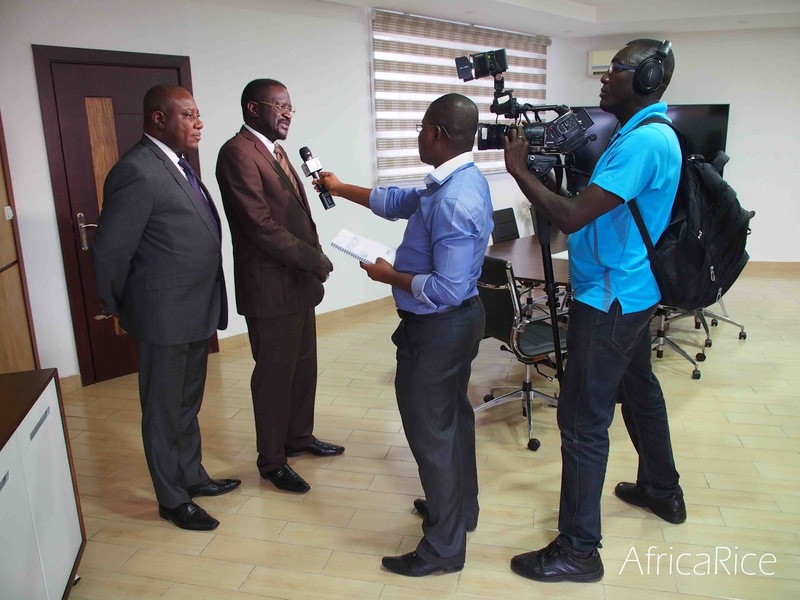 Recommendations were made to further strengthen the collaboration between the Ministry of Agriculture of Côte d’Ivoire and the Center. 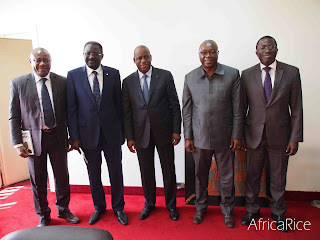 They also met with the Ivorian Minister of African Integration H.E. Mr Ally Coulibaly. 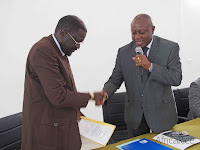 Dr Seck thanked the Minister for the relentless efforts made by him and his team to facilitate the payment of the contribution promised by the Government of Côte d’Ivoire to AfricaRice for the relocation from Benin to Côte d’Ivoire. Plans were made to further strengthen the collaboration. Dr Seck’s visit also included a meeting with Dr Akinwumi Adesina, President of the African Development Bank. 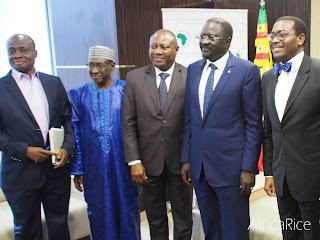 Dr Adesina emphasized that AfricaRice should lead the process of transforming the rice sector in the continent and develop a comprehensive plan with African countries for continental rice self-sufficiency.